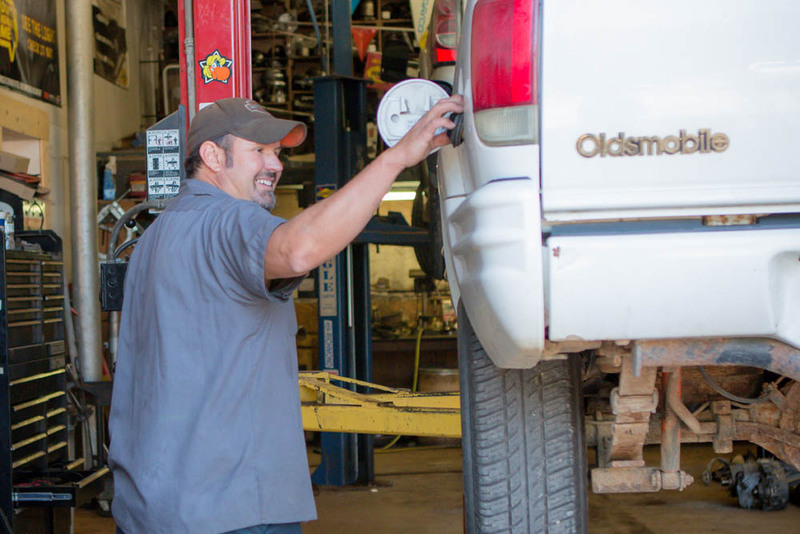 Whether you need preventative maintenance like new brakes and tires, or other repairs like transmission, we're here to help you get back on the road. 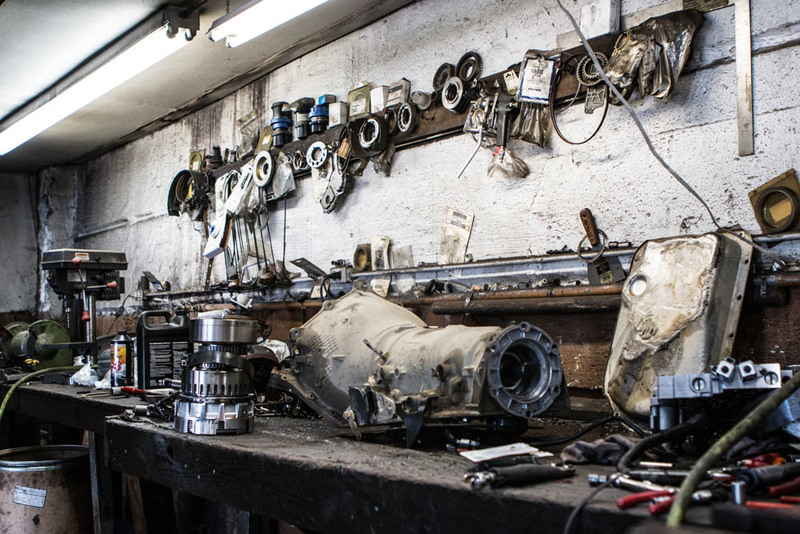 We service all makes and models, and every type of issue, from brake repairs to transmission and engine work. Our shop in downtown Millersburg, Ohio can take care of all your automotive repair needs! Can you give me an estimate on transmission repair over the phone? Twenty-or-so years ago, there were maybe a dozen different transmissions on the road. Every transmission repair shop had a good stock of rebuilt units on hand. There were almost no updates necessary and even if something unusual failed, most shops had a good supply of used parts on hand to replace the failed part. Today there are more than ten times that many transmission is use, with new ones showing up all the time. Many of those transmissions have several different variations or calibrations, with as many as a dozen modifications necessary. What's more, todays transmissions are computer controlled, which means even though your transmission may not be working properly, there is a chance the root cause of the problem doesn't have anything to do with the transmission itself. 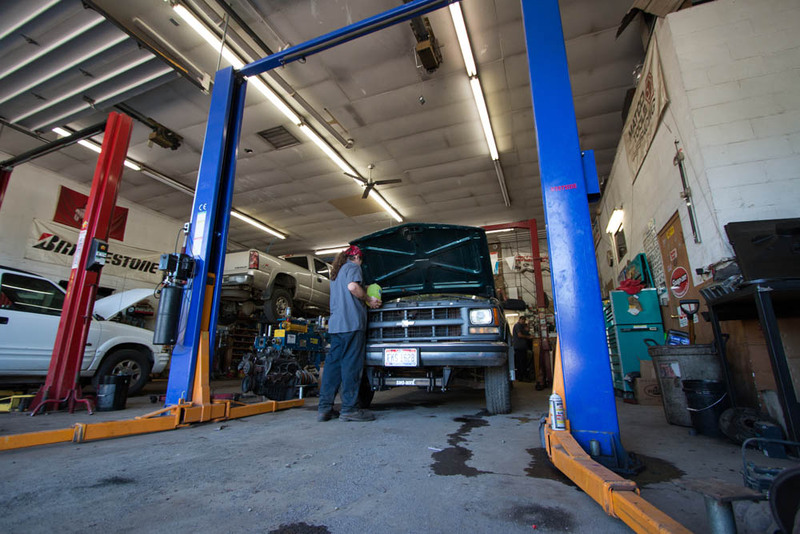 To provide you with an accurate assessment of your transmission's condition and give you an honest estimate for repairs, technicians must perform a series of rigorous tests. They must identify which transmission is in your car and which version of the transmission it is. They have to identify the specific problem and isolate whether is in the transmission or the computer system. Transmission repairs can be expensive. But when you consider what is involved in the repairs, the cost is more than justified. Today's automatic transmissions consist of thousands of individual components. During a major repair, each one is removed, cleaned, and inspected to exacting tolerances. Any worn or damaged parts are repaired or replaced. Then each part is put together into one of many sub-assemblies. Each subassembly must be adjusted and tested for proper operation. Then the sub-assemblies must be assembled into the transmission case where the adjustment and testing procedure begins all over again. Finally, once the transmission is completely assembled, is has to be reinstalled. If that is not enough to justify the cost, there is something else to consider: Virtually all of today's automatic transmissions are computer controlled. Which means that the transmissions ability to operate depends on much more than the condition of the transmission itself. Engine problems now can have a dramatic effect on how the transmission operates. Expensive electronic diagnostic tools are needed to determine where the problem lies. All of which boils down to one inescapable conclusion: transmission work can be expensive. . . but, dollar for dollar, it is one of the best values. How can I maintain my transmission and keep it from breaking down? The fluid in an automatic transmission operates the clutches, provides cooling and lubrication, and even drives the vehicle. So few things are more important than proper fluid operating level for keeping the transmission working. Most automatic transmissions have a dipstick for checking the fluid level. If you're not sure where yours is or how to check the transmission fluid level, refer to your owners manual or go to your local ATSG member repair center. They will be happy to show you. Most transmission problems start out small. They get worse over time. Very often, you can eliminate major repairs simply by taking care of the problem early on. Whether it is a warning light on the dash, a few drops of fluid on the garage floor or a change in the way the transmission operates, your best bet is to take your car in to your local ATSG member repair center for service right away. In many cases you will be able to avoid a major repair simply by catching it while it is still a minor one. Transmission fluids have a number of unique properties that can wear out over time. When they wear out, you can bet the transmission itself won't be far behind. One of the best ways to keep your transmission in good working order is to have it serviced annually. A complete fluid and filter change every year can add years to your transmission's life, and in the end, save you money. New fluid can really help your transmission last longer. But there are a number of additives on the market that have demonstrated the ability to increase transmission life and reliability significantly, even beyond the extra miles you could expect from regular service. In most cases, you won't be able to find worthwhile additives in your do-it-yourself parts store. The really effective additives are only available to the professional transmission centers. Ask us if we would recommend an additive for your transmission. The #1 reason for transmission failure is heat. Transmission temperatures can quickly exceed 300 degrees Fahrenheit. At that temperature, seals begin to harden, clutches begin to burn and the fluid itself breaks down. To help eliminate excess heat from the automatic transmission fluid, have an auxiliary cooler installed. This is particularly important on vehicles that tow trailers, carry heavy loads, or travel over rough or mountainous terrain. All automatic transmissions have some type of filter inside them. But these filters vary in effectiveness. Meanwhile, loose dirt and metal particles can quickly erode thrust washer and bushing surfaces, clog up passages and reduce transmission life. One of the best ways to eliminate these contaminants is to add an in-line filter to the transmission cooler lines. These filters are inexpensive and highly effective in removing damaging particles from the transmission fluid. You may not realize it, but your car's cooling system does more than keep the engine running cool. It also cools the transmission fluid through a heat exchanger built into the radiator tank. So a faulty cooling system can not only damage your engine, it can reduce transmission life as well. In fact, transmission damage may occur long before the engine overheats. To avoid engine and transmission problems, keep your car's cooling system clean and in tip-top condition. The engines and transmissions in today's cars are linked far more closely than in the past. A problem with engine performance can put much more strain on the transmission than one that is running properly. That is another reason why it is important to keep your car's engine in good running order. A good running engine reduces the stress on your transmission so the transmission can last longer without requiring major repairs. Virtually all transmission wear takes place during the shifts; almost none occurs between the shifts. One way to reduce transmission wear is to reduce the load during the shift. Pay attention to the speed when your transmission shifts normally. Then just before the normal shift speed, learn to back off the gas just a bit. Easing off the gas will force the shift while reducing the load on the clutches: a sure way to improve transmission life. 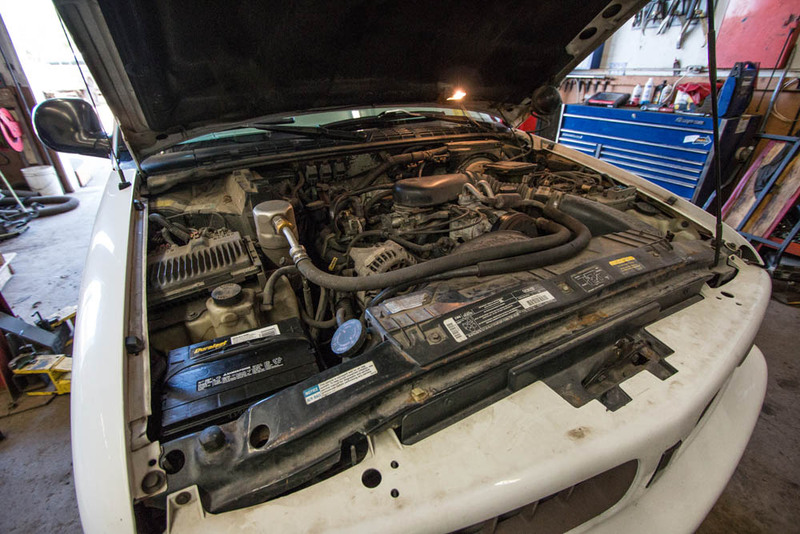 One of the best ways to get more life out of your transmission is to have it serviced regularly. ATSG members receive access to the latest technical information and training. For more information on our services of if you have any questions please feel free to contact us. © 2019 West Side Auto Ohio. All rights reserved.